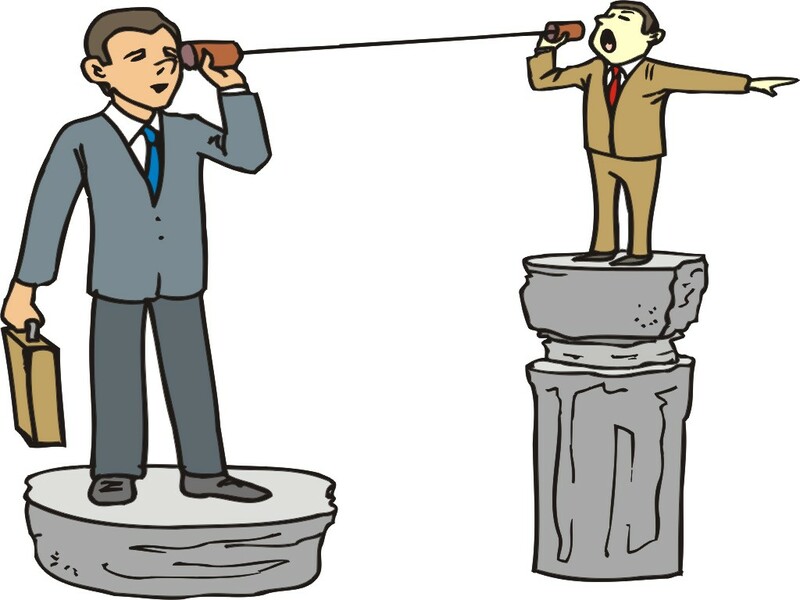 A leader communicates with or without an intention to do so. Therefore, to have productive outcomes, it is critical to develop effective communication skills. Companies that have leaders who are highly effective internal communicators had 47% greater total returns to shareholders according to Towers Watson. With numbers like this, it is crystal clear why fine-tuning communication skills should be a top priority for any leader. It seems so obvious and so easy, right? Not really. Effective communication for many people can be very challenging. Watching the World Cup teams function at maximum capacity, we can appreciate how critical communication is. Plays have been outlined, discussed, practiced, and reviewed over and over ensuring all team members fully understand their roles. Alex Wilkinson, a defender for Australia’s World Cup soccer team expressed his grief over its opening game loss against Chile, which a lack of communication and cohesion was instrumental in Australia’s defeat. Communication is at the cornerstone of building relationships. It is not a luxury but rather a necessity. In some professions, the medical arena being one, poor communication may even result in life-threatening outcomes. Plummeting morale when communication is vague, absent, lacks details, or changes constantly with no explanation. People Driven Performance notes that 71% of employees feel managers do not spend enough time explaining goals and plans. Increased turnover. Paulson Training sights employees with the highest level of commitment perform 20% better and are 87% less likely to want to leave the organization. Heightened downtime arises from lack of understanding and concerns due to a void in information. According to Seimens, businesses with 100 employees spend an average downtime of 17 hours a week clarifying communication, translating to an annual cost of $528,443. Ineffective change management and overall higher levels of misconduct. Be Visible – Realize the value of connecting with your staff. After a few weeks in one of my turnaround positions, I was approached by several employees stating they were surprised that I came out of my office to spend time with them. They shared that their previous leader rarely made contact with the team. How could that be? After all, this is the team that interacts daily with our clients. How could I not talk with them to better understand their issues, successes and concerns? In addition to the information I was able to uncover, staff investment and loyalty grew after seeing and hearing me from time-to-time. Offer your full attention and listen. When talking with another person, focus your attention, put a halt to what you’re doing and pay attention. 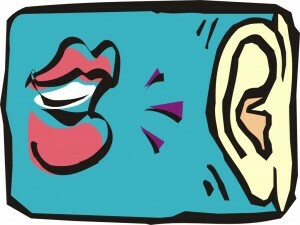 Actively listen, then formulate your response. 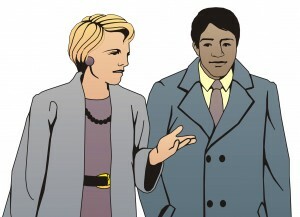 Included in listening is taking note of the person’s body language. Use your Emotional Intelligence abilities. Keep an open mind – avoid preconceived notions. Check to ensure you correctly understand; paraphrase back to safeguard accuracy. Make sure people understand your concepts and definitions. Don’t assume everyone accurately understands the message. 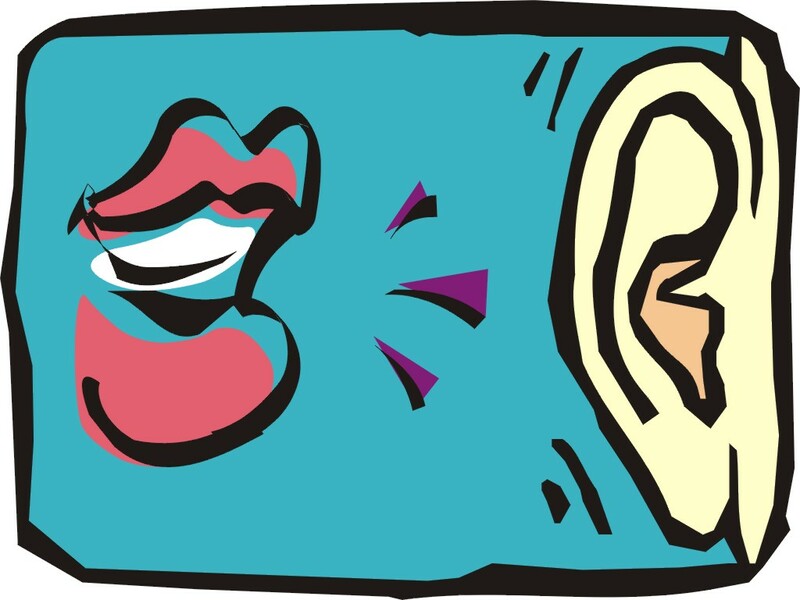 Team members have diverse experiences and might misinterpret what you’re saying. In addition, words can be defined differently in each company, sometimes even within the same department. Miscommunication may arise when discussing a specific word or topic. Educate all team members on unique service lines as well as the overall business. Do not assume everyone understands the enterprise. There are many companies where employees know very little about the organization outside of their own job function. Take full advantage of the fact that every employee is a representative of the organization and should understand the basics of what the company does and/or produces. Be crystal clear about expectations. Tie everything back to the goals you are driving towards. Keep the team focused on what is important and what needs to occur day in and day out in order to meet objectives. Ensure employees understand specially HOW what they individually do supports the overall mission. This enhances personal value and promotes a greater appreciation for the manner in which each person fits into the overall organization. Share examples. Create a safe environment for suggestions and input. While facilitating an executive communication workshop, several participants shared an experience. The group had previously attended a high level meeting where they ended up spending hours performing a task that clearly should have been delegated. Although numerous members felt the time could have been spent on something of greater of value, especially as they rarely met in person, no one said a word to their meeting leader. When I asked why nobody spoke up at the time, they shared that in similar past situations doing so had proven to be quite unwelcome. Regardless of whether or not the task would have been continued had someone spoken up, it is important to note that collaboration is intensified when participants feel comfortable providing input without being demeaned. Create a theme around your goal; brand your objective. Designing a simple graphic and tag line or corresponding quote has proven to be a beneficial. It encapsulates the mission, acts as a visual aid for the team. Ongoing communications will become anticipated while quickly and easily being identified. Ask for feedback and updates at the end of each communique. You may even find that your team begins to proactively send ideas, identify progress, and underscore record-breaking results. Tune into what your team relates to. Several years ago I learned that a large group of employees enjoyed watching the show, The Apprentice. Week in and week out they were buzzing about the latest installment. I took advantage of their enthusiasm and tied each episode into the theme of our current mission as well as our progress. The connection created an increased level of conversation around our objective and helped demonstrate just how tangible our goals really were on a day-to-day basis. It seemed to make our goals more accessible. Plus, we had a lot of fun discussing everyone’s thoughts on the episodes. Score one for morale! Create synergy amongst departments. Working in a vacuum can be detrimental to an organization. Avoid it at all costs! I recall hearing of an IT department that was writing code without fully understanding how the operations team needed to use the program. One would think, how could that transpire? It can, and is probably happening somewhere at this very moment. A simple solution – pull groups that may impact each other together and on an ongoing basis. There is also value in regularly apprising the total company as to what is occurring in a variety of departments. Do what you say you are going to do. This is one of the best ways to build trust. It does not go unnoticed when a leader says they will do something and they don’t. It will undermine your leadership. Guaranteed. Monitor progress, measure results, hold everyone accountable including yourself and adjust communication accordingly. Share results. Include the team in progress updates. It not only encourages buy-in from the team, it helps them understand the direct impact they have on progress. Take a healthy interest in the team and their careers. Let them know you care about what they do for the company, as well as their contribution to the organization. Once again, it may sound basic, but in working with teams on feedback, it has come to light that many leaders simply do not take the time to learn employee names or what they do. Everyone wants to feel valued and recognized. Attention leaders, don’t create ways in which you make yourself the outsider. Always remember, you need your team to go into battle with you. Find the strengths in each employee. It allows you to fill voids with greater ease, take advantage of training opportunities and further develop employee skills. It’s understandable that leaders in large firms cannot fully be aware of every employee’s strengths, but they need to check in with their managers and ensure that they have a handle on all the talent that surrounds them. Appreciate employee contributions and how their job contributes to the whole. Acknowledge, recognize successes. Share ideas that have been implemented and give credit where it is due. Take time to express gratitude and appreciation. It motivates! The danger in not taking the time to do so undermines the value of employees striving to make individual contributions. Understand the team has a life outside the office. Every person you come into contact with has their own personal story. Respect that, it imbues loyalty. When visitors come to your office, introduce your team. It is not always fitting, but there are so many missed opportunities to acknowledge your staff and also share the depth of your organization. Understand the impact visitors have on a company. Whether or not considered, visits create questions. Keep the flow of information moving. When I started in outside sales, I remember coming back to the office overflowing with valuable information. I shared my findings with the internal operations staff which in turn created a synergy between us. A new dialogue was formed on how our “united group” would together approach prospects and further develop clients. A team effort was born. Authenticity. Be real. If you are not sincere, people will figure you out and you will lose your trustworthy factor. Accountability is key to success. Utilize the mantra, “who will do what by when”. Rinse, and repeat! It is your job as a leader to keep the team focused on the task at hand. Be sure conversations are vehicles that drive the team toward its goal. Every leader knows that saying something once won’t do the trick or at least, they should. Say it once, say it twice, say it over and over again. If need be, explain the mission in multiple ways. Sharing is appreciated! What are your favorite ways to promote healthy communication?